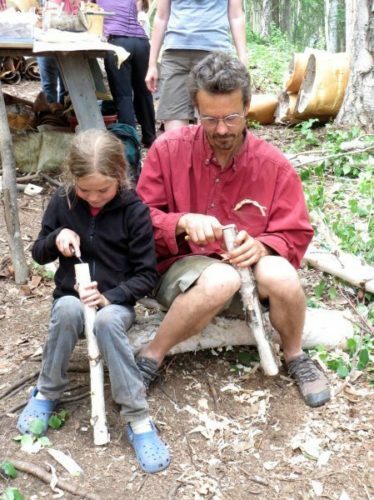 WITW is an opportunity for adults and youth to work side by side, inventing and creating objects from the natural resources found in the forest. 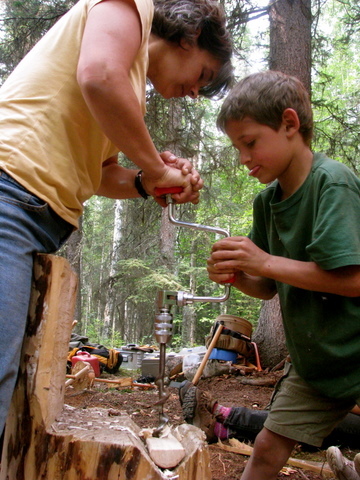 Adults are able to work with youth as classmates — innovating, admiring, and sharing ideas. Adults also provide the coaching and guidance necessary for youth to focus and complete their ideas. WITW instructors are skilled craftsmen and encouraging teachers, but they do not provide the discipline and undivided attention often necessary to help youth carry out their plans. Adults are ultimately responsible for the progress of their youth co-learner’s activities.